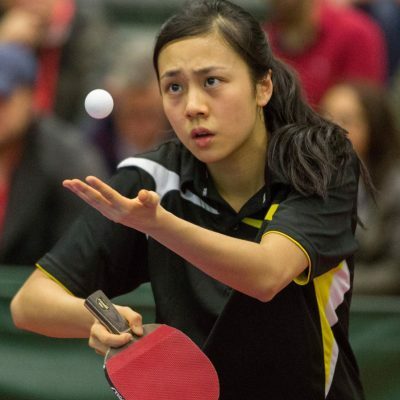 Tin-Tin Ho is one of Britain’s most prestigious junior table tennis players. She is a Commonwealth Games silver medallist and a consecutive English Women’s national singles, doubles and mixed doubles table tennis Champion. On the junior stage, Tin-Tin has also achieved many international podium finishes, including gold at the Italian Youth Open. When she is not competing, Tin-Tin is regularly training at the Everyone Active Little Venice Sports Centre and Porchester Centre. Tin-Tin has high hopes for her future career, and has set her sights on a gold medal at the Commonwealth and Olympic Games, as well as a World Championships.